In 1950, a group of Quaker war-resisters left Alabama in search of a life of pacifism. They found it in a Costa Rica cloud forest. The film is currently in the editing stage with an anticipated release mid-2019. 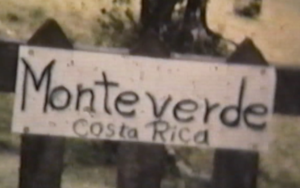 Sweet Home Monteverde Trailer from Robin Truesdale on Vimeo.